BROW POWER™ Super Skinny is rated 3.8 out of 5 by 132. Little known fact…Symmetry is what equates to beauty in the human eye. 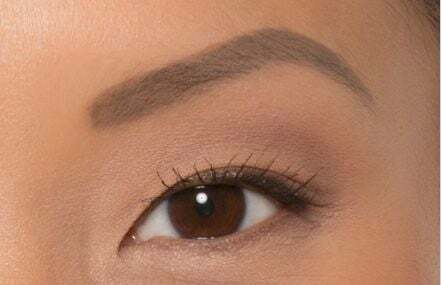 Did you know that your eyebrows are the only feature on your face that gives you your frame of symmetry so brows are your most powerful feature to be your most beautiful you! Developed with plastic surgeons, the foremost experts in facial symmetry, Brow Power Super Skinny™ revolutionary automatic ultra-fine waterproof pencil is the first-ever super skinny micro-tip actually designed and measured to perfectly mimic the exact width of real brow hair with each stroke giving you truly natural-looking brows. The custom 1.4mm tip, combined with the built-in brow grooming spoolie delivers the look of real hair to your brows with precise hair-by-hair like application that adheres to skin and looks like real hair in just seconds! Achieve long-wearing, budge-proof and sweat-proof results easily. Plus all 7 shades utilize IT Cosmetics Brow Power® universal transforming shade technology, allowing you to adjust your color based on pressure so you get a perfect match to your hair color in your color range every time. Press light for lighter hair in your shade range, and apply more pressure for darker tones. IT puts the power of perfect symmetry and your most beautiful you at your fingertips! You can even use to fill in your roots! Mimic the look of real hair around your hair line, along your part or anywhere on your scalp—IT’s your IT Hair™! #1 best-selling Brow Power universal innovation, now in 7 super-skinny shades! HYDROGENATED VEGETABLE OIL, HYDROGENATED COCO-GLYCERIDES, HYDROGENATED SOYBEAN OIL, STEARIC ACID, CERA CARNAUBA/COPERNICIA CERIFERA (CARNAUBA) WAX/CIRE DE CARNAUBA, POLYETHYLENE, ZINC STEARATE, POLYGLYCERYL-2 TRIISOSTEARATE, AQUA/WATER/EAU, BUTYLENE GLYCOL, TOCOPHERYL ACETATE, OLEA EUROPAEA (OLIVE) FRUIT OIL, GLYCERIN, ARGANIA SPINOSA KERNEL OIL, COLLAGEN, RETINYL ACETATE, PERSEA GRATISSIMA (AVOCADO) OIL, VITIS VINIFERA (GRAPE) SEED OIL, BUTYROSPERMUM PARKII (SHEA) BUTTER, CALCIUM PANTOTHENATE, CHOLESTEROL, MAGNESIUM ASCORBYL PHOSPHATE, SIMMONDSIA CHINENSIS (JOJOBA) SEED OIL, ROSA CANINA FRUIT OIL, BIOTIN, ASCORBIC ACID, LECITHIN, SERENOA SERRULATA FRUIT EXTRACT, PRUNUS DOMESTICA SEED OIL, PRUNUS AVIUM (SWEET CHERRY) SEED OIL, URTICA DIOICA (NETTLE) LEAF EXTRACT, HYDROLYZED SILK, OLEA EUROPAEA (OLIVE) LEAF EXTRACT, EQUISETUM ARVENSE EXTRACT, PHENOXYETHANOL, PUNICA GRANATUM EXTRACT, 1,2-HEXANEDIOL, CHAMOMILLA RECUTITA (MATRICARIA) FLOWER EXTRACT, CAMELLIA SINENSIS LEAF EXTRACT, ALOE BARBADENSIS LEAF EXTRACT, SODIUM HYALURONATE, PALMITOYL HEXAPEPTIDE-12, ETHYLHEXYLGLYCERIN. [+/-: TITANIUM DIOXIDE (CI 77891), IRON OXIDES (CI 77499, CI 77492, CI 77491)]. Use the pencil to fill in your brows. Use lighter strokes for lighter hair colors. Apply more pressure for darker hair colors. To finish, lightly brush through brows with the spooley brush to create a natural, polished look. it looks like real hair! Gives you the power to be your most beautiful you, by giving you your most natural looking brows. Rated 5 out of 5 by aaimone from Best Brows! I had been buying this brow pencil at Ulta and they stopped stocking it. So glad that I can still buy it from IT and that you didn't discontinue it! This is my favorite brow pencil and I have tried many others. Rated 5 out of 5 by blingirl from Love it! I truly love this pencil. It's very thin and it's easy to draw hair lines in my eyebrows. Plus, it's the first eyebrow pencil that is very close to my color. I'm a redhead and most of them are too brown. This one has just the right amount of red in it. I usually finish it off with a light swipe of the eyebrow gel. 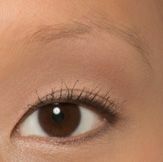 BROW POWER&trade; Super Skinny Universal Auburn is no long sold in your brick &amp; mortar i.e. Ultra Beauty stores. I was told to check online; now I see that it is out of stock and so are most of the other colors. When will this be restocked? I have a Brow Power Super Skinny pencil. It came with one replacement/refill. How do you get it in there? Does one end screw off or pop off? I don't want to break it! Help! Please listen to your loyal customers and carry this pencil again. The Brow Power pencil is too large to hold, too thick a line, and taupe is darker than the Super Skinny Pencil. To quote Jamie: this pencil is/was a life-changer. Sure do miss that skinny brow universal gray. Are you guys discontinuing or will you be able to rescue your skinny brow fans soon? Why would you discontinue a product so many people, including myself, have depended on for years? Your skinny brow pencil is the best I've ever found &amp; the universal grey color was perfect for so many of us.